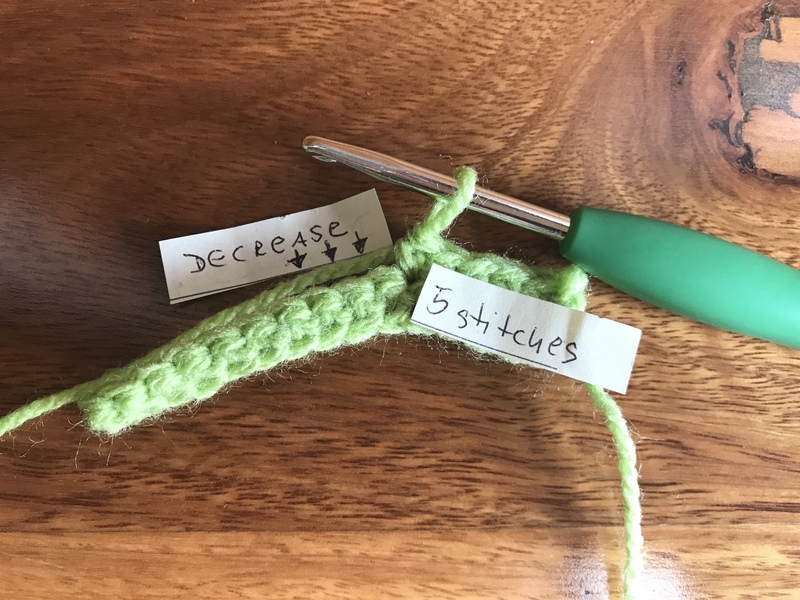 The next most important thing that you will learn in crochet is increase and crochet decrease techniques. 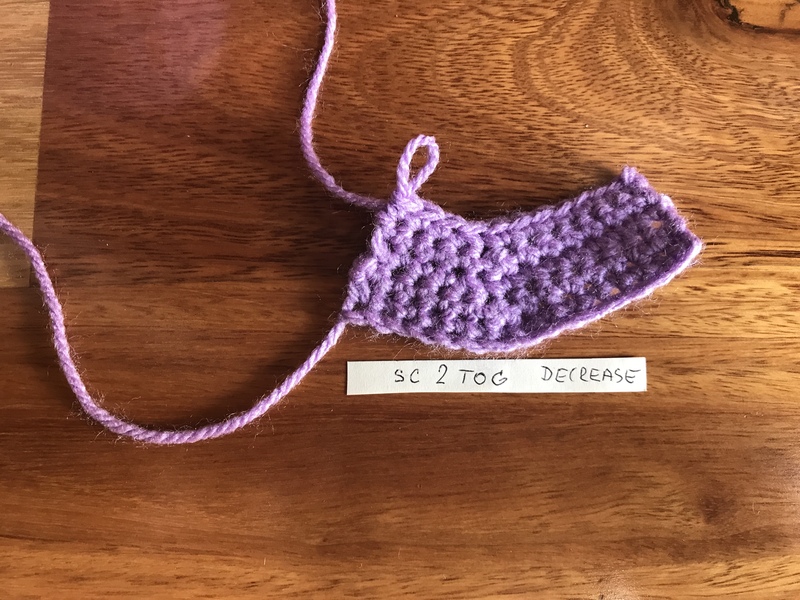 The basics of crochet increase were explained in my previous article 4 Most Common Ways of Shaping by Increase. Shaping by crochet decreasing, it simply means shortening the rows by skipping or invisibly removing the “present crochet stitches”. Increases and decreases are used to change the shape and drape of all of your crochet projects. How crochet flat circles become hats? or amigurumi characters? and how flat crochet projects become fitted instead of just lumpy and chunky and square or rectangle only? By the way, if you like the hat on the picture above, here is a free pattern link: Boy Hat – Free Pattern and if you like the purple bear ear, which belongs to a car organiser, the free pattern can be found here: Bear Girl Car Crochet Organiser – Free Pattern. This article is all about decreasing, which is in my opinion, the harder of the two techniques (well, not as hard you may think 🙂 as you will see shortly). To increase stitches as per the instructions here 4 Most Common Ways of Shaping by Increase is easy peasy work. 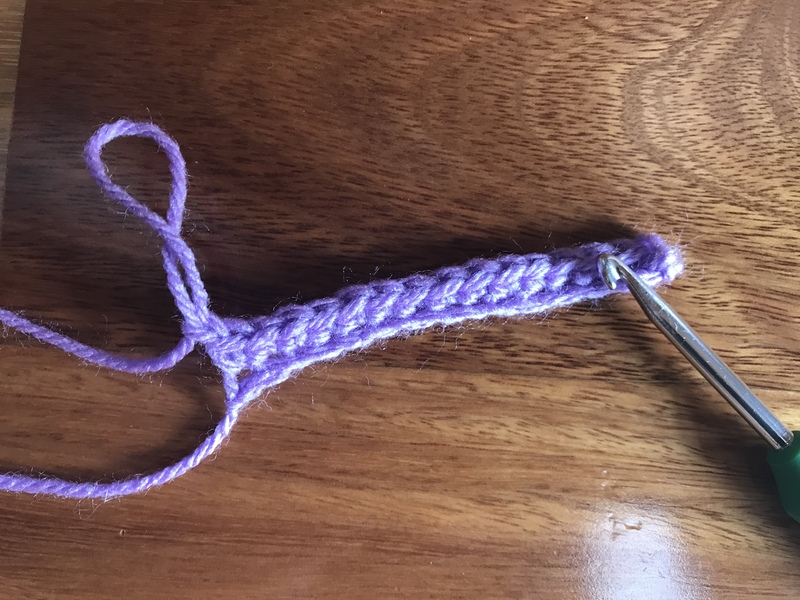 To shape by crochet decrease, you need to work a little bit more with the tension as you do not want to leave an “extra holes” behind in your project especially with decreasing more than 2 loops together. Crochet decrease of any kind is usually abbreviated as “dec”, but a pattern may also say to “crochet the next 2 stitches together”, aka “2 tog”. Note, that there might be more stitches together, therefore the instructions might be written as “3 tog or X tog“, where the X is representing any number of stitches crocheted together. Note: In a looser stitches like DC or TR it may leave a “holes” behind. So this one is good for tighter stitches e.g. slip stitch, single crochet or half double crochet stitch. Stitch to the position of the decrease (in my case I used 15 x SC stitches with 1 CH turning at the end of the row). Miss one stitch and take the hook, form front to back, through the next stitch as per the picture below. In my case I worked 5 x SC and missed 6th SC, inserting the hook into 7th SC. Work the stitch in the same manner as your previous stitches. If you want the decrease to happen always at the same spot – mark the stitch. Stitch to the position of the decrease. In my case I worked 15x SC in total with 1 CH turning at the end of the row. My position of decrease was 6th & 7th SC from the hook. Work 5 x SC and take the hook, from front to back, through the next stitch (6th one). Wrap the yarn and pull it trough, from back to front over the hook and pull a loop through the picked stitch. DO NOT COMPLETE THE STITCH! You have 2 loops on the hook. Take the hook, from front to back, through the next stitch (7th). Wrap the yarn and pull it through, from back to front over the hook and pull a loop through the picked stitch. You have 3 loops on the hook. Complete the stitch – wrap yarn in the barb of the hook and pull the yarn through all 3 loops at once. Make sure that the tension is tight otherwise with decreases the usual problem is “holes”… and you do not want to have unnecessary holes in your pattern. Stitch to the position of the decrease. Take the hook, from front to back, through the next stitch. In my case I worked 15 x SC with 1 CH turning. My position of decrease is 6th, 7th and 8th stitch from the hook. Wrap the yarn and pull it through, from back to front over the hook and pull a loop through the picked stitch (stitch 6th). DO NOT COMPLETE THE STITCH! You have 2 loops on the hook. Take the hook, from front to back, through the next stitch (7th stitch). 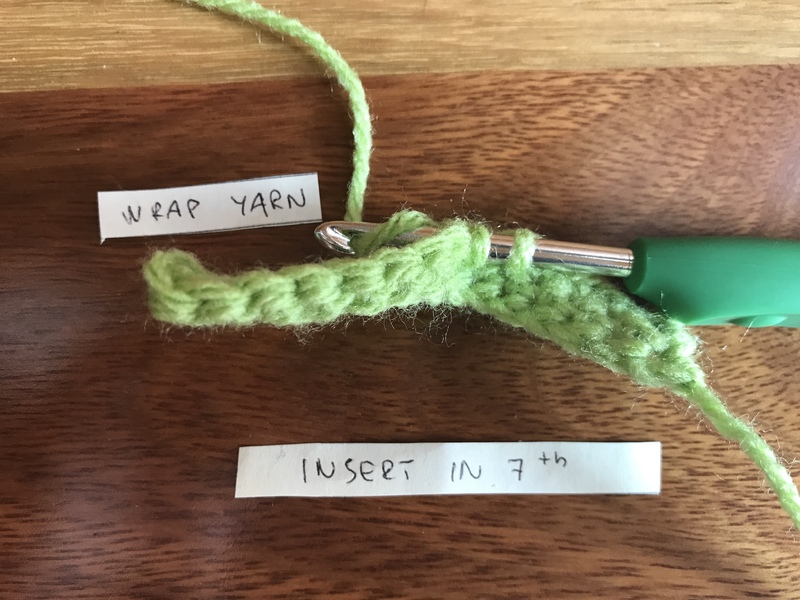 Wrap the yarn and pull it through, from back to front over the hook and pull a loop through the picked stitch (stitch 7th). DO NOT COMPLETE THE STITCH! You have 3 loops on the hook. Take the hook, from front to back, through the next stitch (8th stitch). Wrap the yarn and pull it through, from back to front over the hook and pull a loop through the picked stitch (stitch 8th). DO NOT COMPLETE THE STITCH! You have 4 loops on the hook. Complete the stitch – wrap the yarn in the barb of the hook and pull the yarn through all 4 loops at once. Make sure that the tension is tight otherwise with decreases the usual problem is “holes”… and you do not want to have unnecessary holes in your pattern. 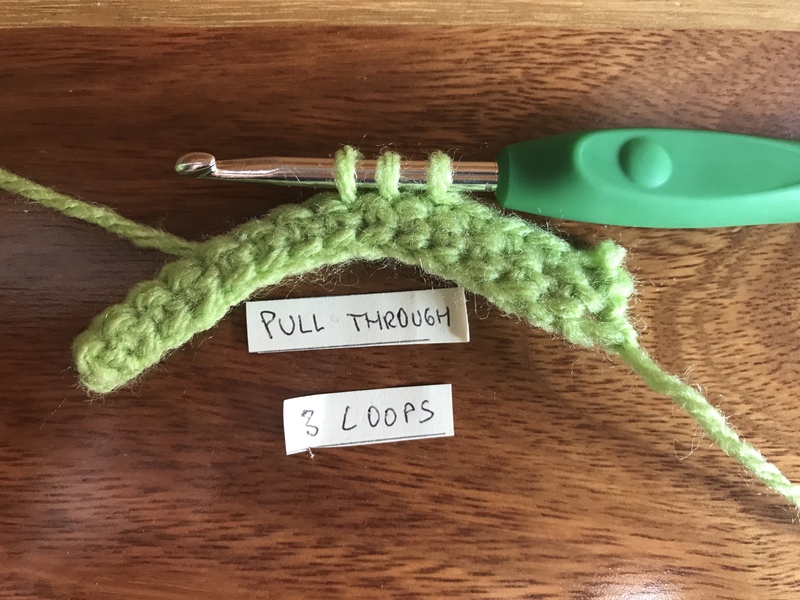 Extremely important especially when you are crocheting together more than 2 loops. 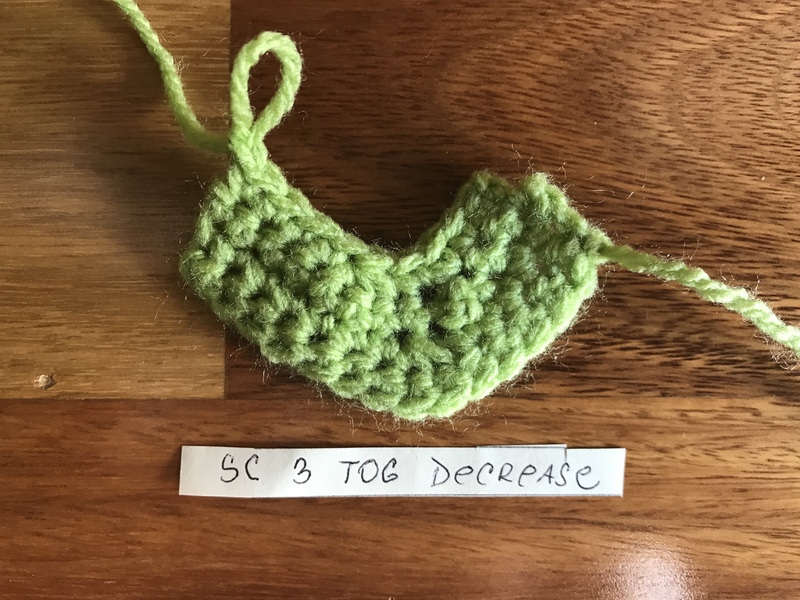 Previous Post How To Do Decrease in Double Crochet – too many loops?